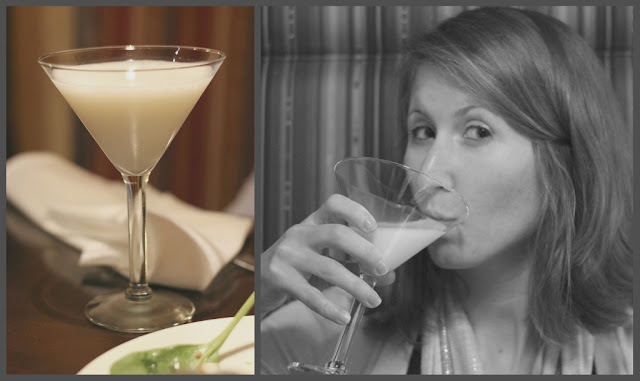 The Lady Okie: B&W Wednesday--Martini, Anyone? It could be argued that Valentine's Day is largely an unimportant, made-up holiday. Jordan absolutely refuses to go out to eat on Valentine's Day, due to the crowds. 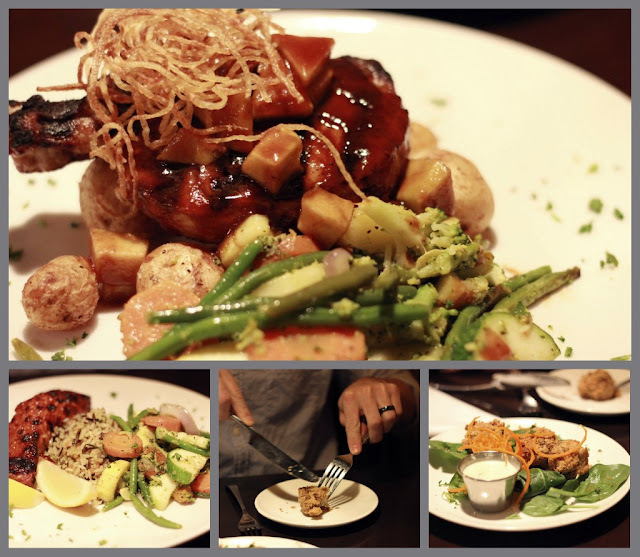 So we went out on Monday to a fancy restaurant, where they give you tiny portions of delicious, albeit expensive, food. And then--cuz we're fancy--Jordan ordered a martini. When I tried to take a picture of him drinking it, he spilled some on the table. I don't know what happened. But I'm sophisticated and awesome, so I didn't spill any. 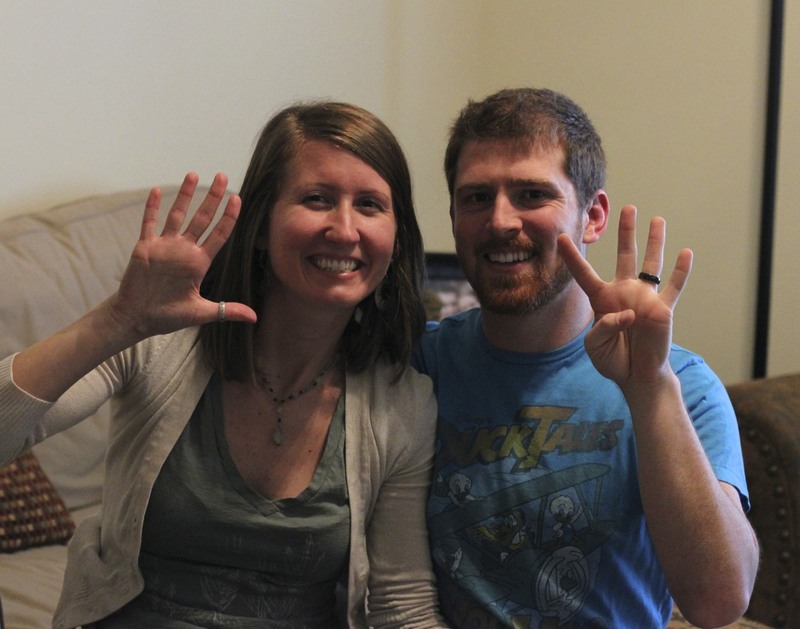 Valentine's Day (yesterday) was also our 9-month wedding anniversary, which I feel like makes us officially legit for some reason I'm not sure of. Then we had what I will admit is too much ridiculous fun with the self-timer. So that was our 2012 Valentine's and 9-month wedding anniversary festivities in a nutshell. Yay for NINE months! My daughter's been married for four ~ and I got my first Valentine from my husband 29 years ago!! 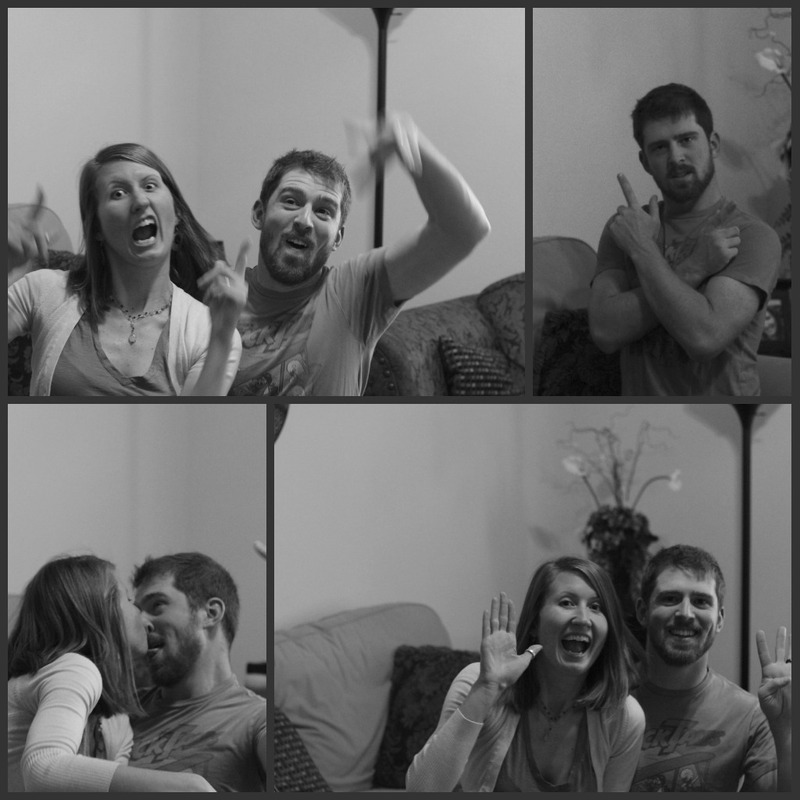 LOVE the silly b/w collage - looks like you have a ton of fun together! What a great set of photos! THe food looks delish. The cutest! Also, you are my kind of girl for taking pictures of your food in a restaurant. My husband doesn't even blink anymore when I do it.